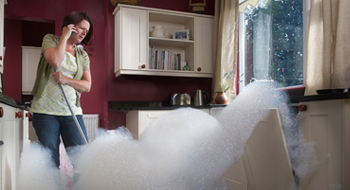 If there's flooding in your home from storm water or faulty pipes- do not worry! Call us, the water removal professionals today!! 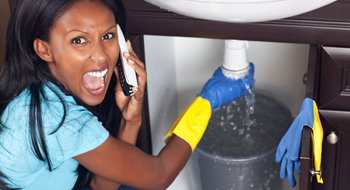 When there's been a broken water pipe or sewage pipe, acting quickly is the most important thing you can do. Call us now to make time your friend! ﻿If you need your property back to normal and restored, you want to call a company that has state of art equipment and treatment methods. Call us today! ﻿We know how confusing it is to file your insurance claim. That's why we are here to assist you and answer all your questions. Call us today for help filing your claim. After water has invaded your home or business, we will come in a dry all your surfaces and the materials of your property. You can trust not one ounce of water or moisture will be left behind. The Most Important Decision You Make For Your Home, Business and Family! Calling us, Washington DC's most trusted restoration service, is the first step you should take when water damage is occurring. If you are facing water damage to your property it’s important to act quickly so the damage does not become severe. On top of structural damage, you could experience mold invasion if the moisture is left sitting too long. Excess moisture that rests in the cracks or materials of the home will cause mold, especially because of our high humidity climate. Once mold has been allowed to grow because of untreated water damage, the restoration project becomes extensive and expensive. Prevent mold growth and possible mold invasion by contacting us today! We can have a mold specialist to your property within an hour. While some molds are easy to locate and find, others are incredibly hard to notice- and these are the ones that need the quickest removal. To locate the moisture or mold that is hiding, call us so we can act quickly. We will bring our thermal imaging cameras to look for moisture that is causing the mold- so we can fix that as well! We will then determine if mold will grow, or has been for some time. We are trained to detect these things so they can prevent further damage, and save you thousands of dollars. We have a 24/hour emergency response team ready and willing to help today! Acting fast, no matter the time of day or day of the year is incredibly important. 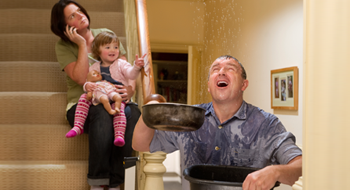 Having water invade your home can be overwhelming and scary at times. That’s why calling us as soon as you see or suspect water invasion is the best thing you can do. We have invested in the top of the line, industrial strength driers and equipment; this way not one ounce of water or drop of moisture will remain in your property. Removing all water and moisture will prevent further damage, and most importantly it will prevent mold invasion. For complete and full removal of all water and moisture, don’t wait to call us today! After the water and moisture has been removed by our experienced team, the restoration process will begin should it be needed. This is where our team of experts will replace dry wall, flooring when needed, warped molding, or any other material that experienced water damage. If we need to hire out a third party for more work- we will do just that! To make sure you get the restoration work done correctly and in a timely manner, call our experts today! When water damage or mold damage is left to sit, it can cause a potent musty or foul odor. Our water damage technicians are equipped to find the hidden water and moisture, and remove them fully from your property. We will use cleaning products and methods proven to not just cover up the odor, but physically removing the causes of the odor. Do not let other companies treat the cause of the odor the same, every odor is unique and requires a specific method and cleaning product. We will identify the source, and get to work. This will completely and utterly remove the odor from your property, and leave it smelling as good as new! Mold and water damage are most typically the results of water invasion from storms or pipe leakage on the property. When this happens the important thing is hiring a team of restoration specialists that don’t just over up the damage, but find the source and fix it- so damage will not keep occurring. While some water damage cases are simple and easy to restore, there are times where the damage is extensive and complicated. This is the time you want the experience we have to offer. We will handle every aspect of the restoration project, assist in insurance claims, and not stop until your property is up and running again! Sewage invasion and sewage damage to the home is that one thing nobody wants to deal, or knows how to remove. We are prepared for the messy job with the proper gear and equipment- and we’re ready and willing! Remember- sewage can pose a health risk, but it’s also incredibly stinky! That's why we are available 24/7 for any type of emergency to include sewage back up into the home or business. Don’t stress or worry- let the professionals with the proper gear and equipment handle this messy job for you. 8. Free Quotes and Assessments 24 hours a day- any day! ​The Flood Masters are fully aware that water damage can occur any time of day, and any day of the year. That’s why they have technicians on call 24 hours a day, and 365 days a year. That means we will be to your water emergency in the middle of the night or even Christmas Morning. When there’s water actively invading your home or business, you should never have to worry about waiting for business hours nor what this emergency will cost you. We are always available and your estimate and assessment is always free. Please- do not wait if water is currently in your home or business, call us today! Here in Washington DC we are not just the most experienced water damage restoration company, but the most credentialed. We are certified, insured, and even licensed in order to serve DC with the highest quality restoration service in the area. We take pride in serving the residents of Washington DC with the best restoration service around. You will not regret hiring us- we have top of the line, industrial strength equipment to ensure that not one drop of water or excess moisture is left in your home or business. We take water damage seriously- and will restore your property to keep it safe, but also to protect the investment you have in it. That’s why we are the areas most trusted restoration company. We also take water damage so seriously that we are known for responding to your emergency within and hour to thirty minutes. Answering service? PFFT! Nope- we answer our phones personally so you’ll never have to schedule an appointment and wait. That way we’ll be on our way out to your water emergency immediately. We Directly Bill all Insurances! 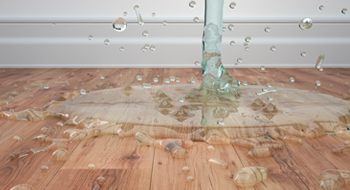 We understand that the one of the most stressful parts of water damage to any property is dealing with filing an insurance claim. All the details and information needed to get the damage covered can be head spinning, and confusing. That’s why we directly bill all insurance companies. We want to help handle the claim until everything that can be covered is. You simply should not have to stress over insurance claims when you’ve experienced water damage to your home or business. We are highly experienced and trained in knowing the needed steps and documentation to ensure as much of the damage gets covered as possible. Once we have assessed the scope of damage, we will meet with you to go over everything and help you when it comes time to make decisions. When it comes to removing water and excess moisture, we know that it’s essential to have the top, industrial strength equipment for drying, and the latest technology for detecting moisture and water. Removing excess moisture in Washington DC can be incredibly difficult because of the high humidity- certain materials can hold in moisture without us being to see it with the naked eye. That’s why we spare no expense and have thermal imaging to help find that hidden moisture. This will help protect your home or business from a mold invasion- which is incredibly costly. We take excess moisture and mold seriously here- call now for your free inspection and quote. When water starts invading your property waiting too long to get help could be the difference between minor to major damage. We are known for responding fast- anywhere in the DC area in under an hour. As soon as you call, day or night, we will be on our way to your property with our industrial strength driers and high tech thermal imagine cameras. Remember- our assessments and quotes are always free- so call now! We have been in business long enough to learn that everyone has an emergency plan, yet nobody knows who will come and help clean up the damage. Most property owners stop preparing their emergency plan right where they should keep going- how to restore your home back to normal!! That’s why we always recommend that you store our number in your phone, and remember that we’re available 24/7! Call: 703-352-2264 to talk directly to our professional supervisors! We are committed to always coming to the rescue- you’ll never have to talk to an answering service. You will always be directly connected to one of our professionals! 1 hour Arrival Time: We’re committed to arriving as soon as possible after your call. Though we say under an hour, we often arrive in about 30 minutes to your water emergency. We always take water damage seriously, so we always move fast! Properties: We serve daycares, single family properties, townhomes, townhouses, apartment complexes, offices, gyms and much more. Credentials: We are always insured, licensed, and certified. 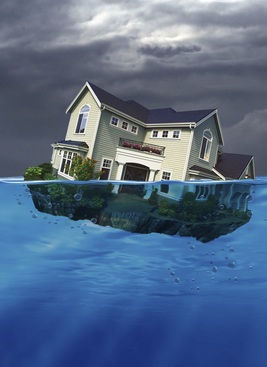 ​Our top concern is always your safety when water is invading the property. Please follow the following tips to stay as safe as you can. Do not unplug any electronics or devices until the electricity has been turned off. Assuming it’s safe, turn off your electrify from the breaker box. Keep children away from the water and do not let them play in it. Do not reenter the home when there’s been major damage- please wait for The Flood Masters to secure the building. 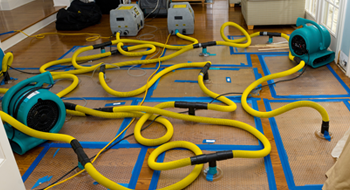 We are Washington DC’s top restoration company when it comes to water damage. People have trusted us to get the job done correctly for almost 50 years! Whether the damage is from a tornado, flash flooding, rain, sewage or storms- we will always be here for your call- anytime, and any day!